On July 1st 2018, Mangrove Action Project and Nai Nang Apiculture Group hosted a “How to do” beekeeping training workshop for new communities interested in this supplementary livelihood. There was a total of 32 participant trainees who came from 3 different villages that MAP currently has a mangrove restoration project in: 12 people from Bang Kang Khao village, Sikao District, Trang; 4 people from Thung Yor village, Klong Thom District, Krabi; and 16 people from Kong Lu village, Muang District, Krabi. 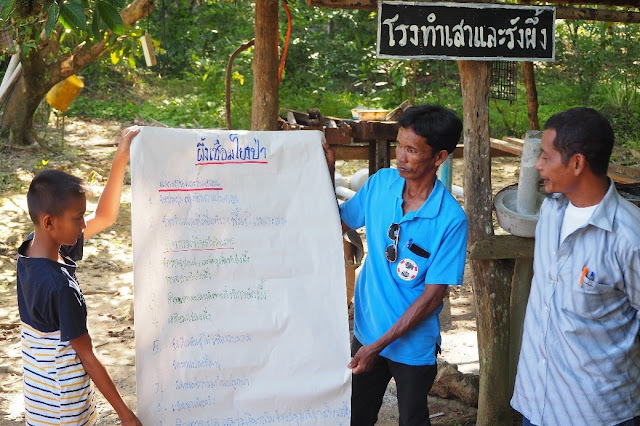 The workshop provided a great opportunity for Nai Nang trainers to disseminate some of their valuable knowledge and for other villages to learn about how the group has become so successful with their apiculture enterprise, with the hope of being able to replicate it in their own village. This livelihood training workshop was kindly funded by the LUSH Charity Pot, the corporate social responsibility arm of the Lush Fresh Handmade Cosmetic company. The day started with a welcome speech and introduction from Mr Arlee, the secretary of the Nai Nang Apiculture group, the hosts and trainers. Ning, MAP Thailand’s field officer, then gave a brief talk about the work MAP has done in Nai Nang and the background to the workshop, followed by a brief discussion of how the Nai Nang group was formed given by the president, Mr. Sutee Pankwan. Nai Nang village was originally a part of a larger conservation group with the neighboring villages called the Khloa Kan Conservation Group, who were responsible for the mangrove forests, peat forest lands and coastal ecosystems in the district. There were many frustrations for the conservation group, such as no budget to carry out large projects but also the time needed to rehabilitate the forest meaning a long wait before the community were able to make a livelihood from the forest. 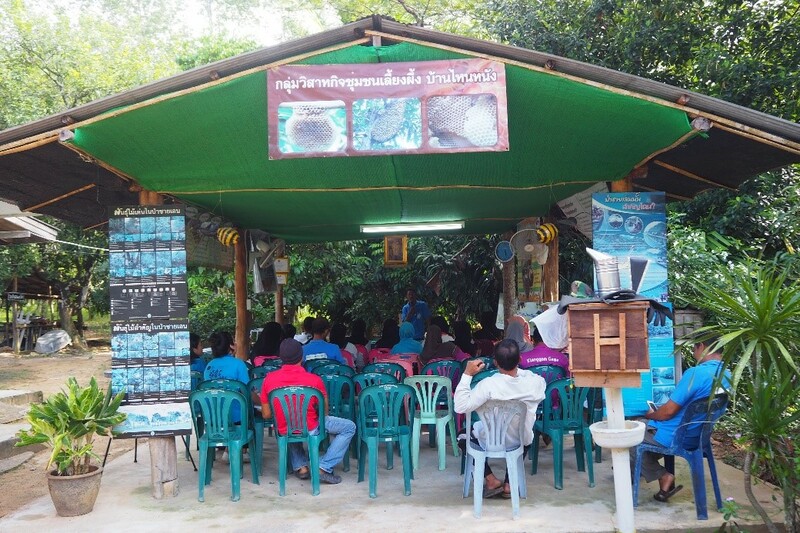 Therefore, Nai Nang decided to start a local enterprise raising bees in order to provide themselves with a supplemental income while at the same time still supporting their important mangrove conservation work. Trainees, both male and female, were keen listeners & students. The Nai Nung Apiculture group gave a very professional detailed, interesting and fun workshop on the many steps to successful bee keeping. Firstly, they explained how they construct the beehive boxes out of recycled wood removed from old abandoned boats. 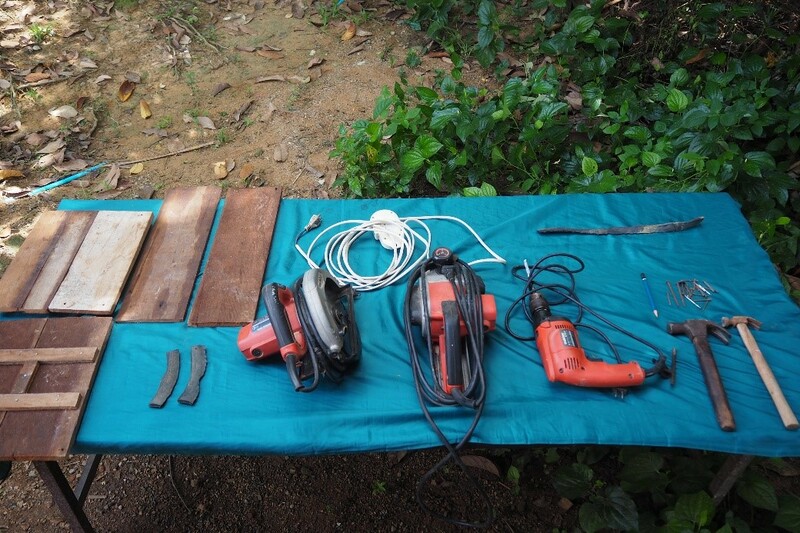 There was then the opportunity for the participants to get hands-on and construct their own boxes using some wood and tools supplied by Nai Nang. “Learning by doing” was lots of fun for all the trainees while the trainers provide useful tips based on their experience. 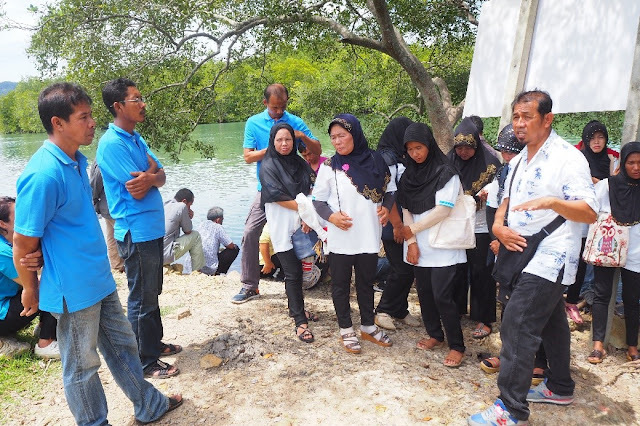 After the successful construction exercise, everyone set off to the nearby rubber tree plantation on the edge of a mangrove forest which is the site where it is possible to set-out the boxes so wild bees (apis cerana) can take-up free residency and establish a productive colony. Here we were given another demonstration about how to set up the new bee box and make it an attractive home by rubbing bees wax on the inside and then transport them to the permanent bee yard. After lunch the a step-by-step demonstration continued with participants being shown how to collect the honeycomb from the active beehive, without getting stung, which is a real skill so everyone paid very close attention. Throughout the workshop, the participants were keen listeners and had many interesting questions for the group. The highlight of the workshop for many trainees was the demonstration of extracting the honey, filtering it, and finally getting a chance to taste the fresh golden liquid. 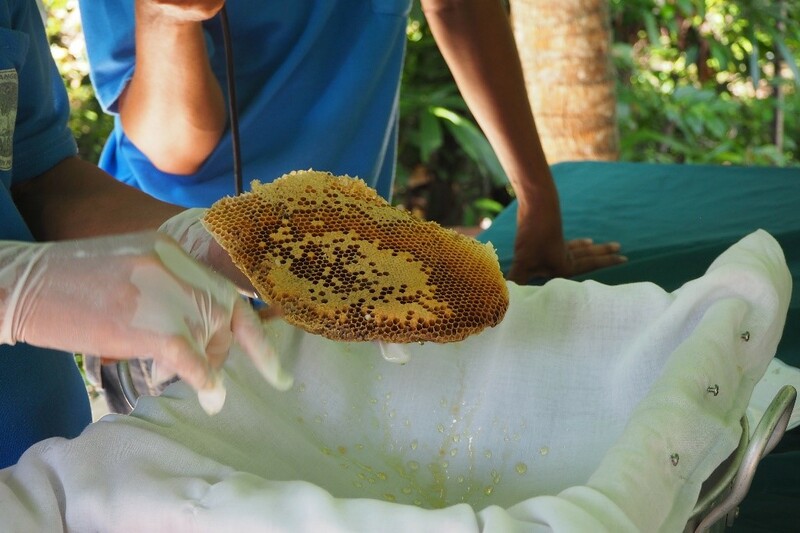 The profitable honey represented the sweet taste of a successful partnership between the hardworking bee colony and Nai Nang Apiculture group which provides the safe, dry, rent free homes and protecting their mangrove as a source of nectar for the bees. One of the main points made during the workshop was the importance of mangrove conservation for bee raising. It was stressed how the two projects go hand in hand and it is not possible to raise bees without also working on mangrove conservation. Bees must have enough food sources within five kilometers of the bee hive for them to produce honey so ensuring a healthy forest is a precursor for apiculture. Just before lunch everyone was treated to a short drive to view the mangrove forests in Nai Nang and MAP’s original Community Based Ecological Mangrove Restoration site. 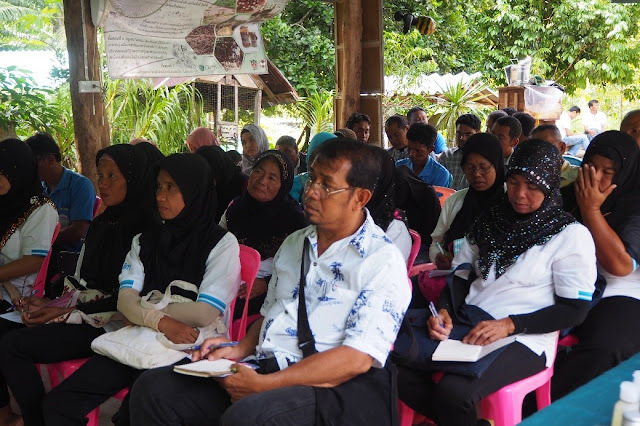 This was a particularly interesting part of the day where each village shared their own experiences with mangrove conservation and discussed the differences between the mangrove sites in Nai Nang and the ones in their own village. Many great stories and advice was shared between the Nai Nang Group and other villagers, and everyone took something new away with them. The workshop ended with each village coming together to discuss what they had learnt during the workshop. Using flipcharts each village created a quick strategy of what they would do next when they returned to their village in order to start raising bees. These were then shared with the group and then opened up to members of the Nai Nang Apiculture Group for comments and suggestions. It was clear how much each participant had learned from the workshop with the amount of detail that had gone into the plans. It was particularly good to see that each strategy started with improving the health of the mangrove forests and ensuring plentiful food sources for bees as this was one thing that was continually stressed throughout the workshop.